Don’t we always have times when life seems a little hetic . . . Here’s a fast and easy smoothie for busy mornings, an afternoon pick-me-up, or late-night snack. 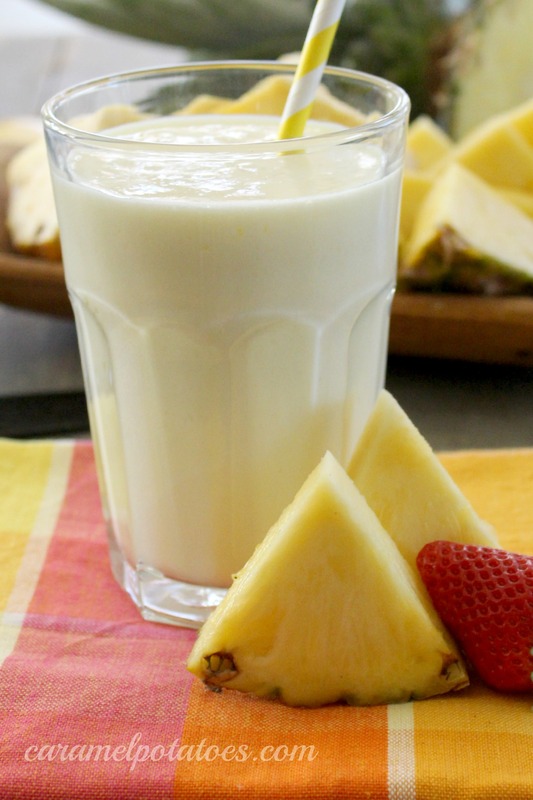 This pineapple smoothie reminds me of the taste of frozen yogurt to satisfy that “I need something sweet” attack- yet we can feel good knowing pineapple is low-fat, is rich in fiber, and is packed with vitamins and minerals such as vitamin A, vitamin C, calcium, phosphorus, and potassium. Pinepple also contains manganese which helps build bones; and pineapple has bromelain that gives the fruit an anti-inflammatory benefit. Busy day or any day, your family will love this smoothie; it’s two-ingredients easy! Oh my, this looks so delicious. Wish I could have a sip right now! I saw you at BYB & I’m popping by your great blog to say “hello”. It was really nice to meet you & I hope to see you again soon. This sounds so simple & refreshing! 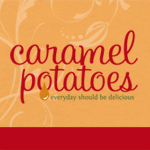 Thanks for linking up to Sweet & Savory Saturdays #6! Just wondering, the recipe calls for fresh pineapple.. Can I use canned pineapple instead of the fresh? Amber- I think you could use canned. I would make sue to get one canned in juice rather than heavy sugar. Hope you enjoy! What a delicious pineapple smoothie, Kyra! I love it. And it is so quick to make. I love the simplicity of the recipe. Not to mention that yummy pic!